The Australian Wild Abalone (AWA) Program is an initiative of Abalone Council Australia Ltd and has been supported since 2009 by the Fisheries Research and Development Corporation (FRDC) and the Australian Seafood CRC. Following the closure of the CRC on 30th June 2015, the FRDC continues to support the AWA program through ongoing investment in market related R&D. AWA Program promotional activities will continue through 2015 and 2016 thanks to funding from the Tasmanian Abalone Council Ltd and direct financial investment by AWA exporters. The AWA Program Team would like to acknowledge and thank the FRDC, the Seafood CRC, the Tasmanian Abalone Council and the AWA exporters for their ongoing support for this important industry initiative. A very special collaboration between the Abalone Council Australia Ltd and the China Cuisine Association has created The Australian Wild Abalone Innovative Cuisine Design Competition which culminated in an awards ceremony gala dinner in Beijing last week! The competition aims were to inspire Chinese cuisine and catering industries to use Australian Wild Abalone in unique and innovative ways, to enhance young Chinese chefs’ culinary skills and knowledge of the qualities of Australian Wild Abalone. The China Cuisine Association (CCA) contacted chefs in Beijing and all over China to invite them to participate in the first online stage of the competition. A series of online campaigns were published in China spreading the news about the competition, on the CCA's website http://www.ccas.com.cn/ and their WeChat platform - whose visitors are Chinese professional chefs, large catering enterprises and culinary associations at provincial level, city level and county level. The CCA advised that some of the restaurants contacted during the online competition phase expressed their interest in Australian Wild Abalone products, which was followed up at the event. The online competition closed on 28th October and the judging panel met on 29th October to assess an impressive 115 dishes submitted by 80 young executive Chefs. The 5 distinguished judges who assessed the dishes are Chef Zhou Hua from Shanghai, Chef Yin Qinlin from Anhui Province, Chef Hao Wenjie from Beijing, Chef Zhang Dahai of CCA, Erica Sun of CCA - all identified by Ministry of Labor as national level judges. 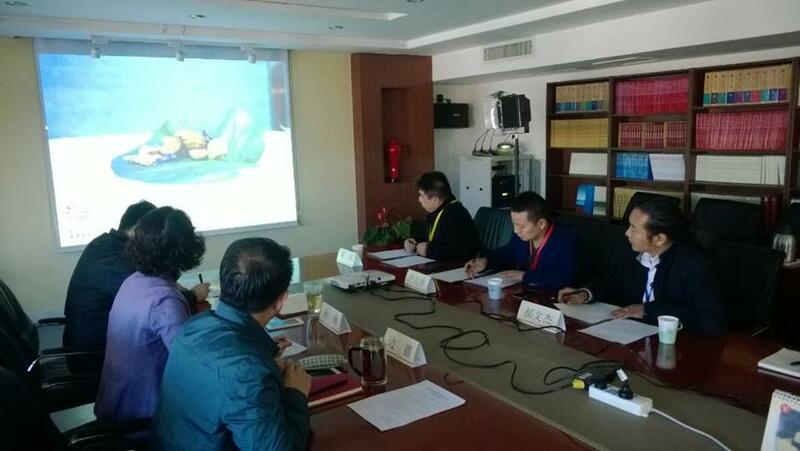 On the 10 November 2015, the ten finalists from the competition went head to head in a cook-off at the Jinsong Vocational School in Beijing. Each finalist produced their dishes in a live competition show-down!! Live updates of the event were posted on the CCA WeChat social media, our AWA Weibo page and on our Australian Wild Abalone facebook and Twitter pages here in Australia. Chinese news media attended the award ceremony gala dinner, such as New China Agency (新), CRI (国搜狐网), People.cn(人民网), China.com.cn (中国网); International Business Newspaper(国)China Food News Newspaper(中国食品),Great Chef Magazine (名厨), Chinese Cuisine Magazine (中国烹), Global Gourmet Magazine and China Catering Magazine (中国餐). A full media report will be provided once an analysis of the Chinese and Australian media coverage has been completed. As part of the exciting array of competition prizes, the ten winning chefs were named Australian Wild Abalone Ambassadors, and have been invited to visit abalone producing states in Australia next year for a study tour and to experience first-hand where the product comes from, how they are harvested, processed and packed, on an exciting Gourmet Adventure where they will also meet local food producers, chefs and visit tourist attractions. This prize has been proudly supported by the Tasmanian Government, Department of State Growth. Dean Lisson said, “China has a long history and tradition in the culinary arts. Australia has a similar history and tradition in producing fine quality, safe, sustainable, nutritious and, even more importantly, tasty wild caught Abalone. Together we can showcase those skills and knowledge and form a partnership that provides a fantastic platform to further promote the special features of Australian Wild Abalone”. A full report on the event, the winning chefs and the outcomes will be available to Australian Abalone stakeholders soon! We'll keep you posted on the program activities and for the most up to date news from Australian Wild Abalone please subscribe to our newsletter, link in to our facebook page or tweet with us on twitter - @AbaloneAWA! Or if you would prefer you can also give us a call on +61 3 6231 1956 or email to contact@australianwildabalone.com.au. Please contact us if you would like further information or if you would like to become a program participant.